The governor of Anambra State, Chief Willie Obiano has inaugurated a new Board of Directors for the come-backing Anambra State Broadcasting Service, ABS, which marks its 30th Anniversary with a public lecture on Wednesday March 4, 2015. This you can describe as a sign or signal to butress what BIBle says about people believe and faith, while many writers have described Queeneth Hilbert as the most beautiful actress in Nigeria. Right or wrong, the model turned screen goddess is unquestionably beautiful with a touch of class about her. Queeneth-HilbertWhen I first interviewed her I felt an air of derision about her towards men but she was quick to tell me she has nothing against them although she has had her share of bad experiences with men. 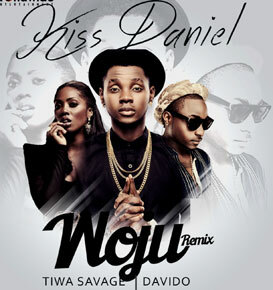 This remix is targeted to rekindle the monster hit and it is already getting trending and getting huge downloads. The 2015 election cycle in Nigeria takes place within the context of reduced oil revenues, due to the drop in global oil prices. Since the middle of 2010, crude oil has sold for an average of over $100 a barrel, leading to a boom in revenues for countries dependent on oil for much of their spending. But by June last year, the price of oil has been cut in half, and countries are feeling the pinch. Nigeria is no different. The allocations from FAAC for December 2014 was the lowest for that day, and is set to go even lower in the coming months, as oil prices remain low. This poses serious challenges for states who have to provide infrastructure for development, and also pay those employed in the state civil service, while being very dependent on federal allocations. Jigawa State Governor, Alhaji Sule Lamido, has predicted that the South-west geopolitical zone would not vote for the presidential candidate of the All Progressives Congress (APC), Major-General Muhammadu Buhari, as this would amount to the acceptance of the National Leader of the APC, Bola Tinubu, as the leader of the Yoruba race. Lamido, who is also the North-west Coordinator of the Peoples Democratic Party (PDP) Presidential Campaign Organisation, further opined that religion and ethnicity would play a major role in the March 28 presidential election, simply because President Goodluck Jonathan is from the south and a Christian and Buhari is a Muslim and a northerner. Citing the latest successes recorded by the military in the ongoing campaign against terrorists and the recapture of territories previously occupied by Boko Haram insurgents, Anti-corruption czar and former Chairman of the Economic and Financial Crimes Commision (EFCC), Mallam Nuhu Ribadu, on Saturday warned that changing the Commander-in-Chief in the middle of war would be inimical to the consolidation of the victories achieved so far. Ribadu, a retired Assistant Inspector General of Police and gubernatorial candidate of the Peoples Democratic Party in Adamawa State, therefore urged Nigerians to re-elect President Goodluck Jonathan in this month’s election so as to sustain the tempo of the ongoing onslaught against Boko Haram, a deadly group that has killed about 13,000 people, captured territories in the Northeast and displaced over one million people in the past six years. National coordinator of the Oodua Peoples Congress (OPC), Otunba Gani Adams, at the weekend, in Lagos, took a swipe at the presidential candidate of the All Progressives Congress (APC), General Mohammadu Buhari (retd), describing him as an enemy of democracy. Addressing newsmen in Lagos, Otunba Adams said the APC standard bearer has never been a lover of democracy, having toppled a democratically elected government in 1983, and vehemently opposed the National Conference convergence, a platform to discuss the socio-political and economic future of the country. The Osun State Governor, Rauf Aregbesola, and his Kwara State counterpart, Abdulfatah Ahmed, have described the plot to remove the Chairman, Independent National Electoral Commission, Prof. Attahiru Jega, as dangerous. Speaking with one of our correspondents on Sunday, Aregbesola said that the plot reflected desperation on the part of the Peoples Democratic Party-led Federal Government. He said, “It is obvious that they (PDP) are desperate. A desperate person is a dangerous person. This country is bigger than anybody. PRESIDENT Goodluck Jonathan, on Sunday, revealed that he would be driving ‘made-in-Nigeria cars’ soon and would have them on its convoy as a way of demonstrating confidence in the growth of the automobile industry in the country, under his administration. The event was the “Meet The President” programme, hosted by a group, the Participate, Vote for your choice Candidate (PVC), at the Eko Hotel and Suites, Lagos. The president promised, amongst others, to engage more youths in his next administration if elected, making reference to the likes of General Yakubu Gowon, who became head of state at the age of 33 and former governor of Old Rivers State, Diette Spiff, who was governor of the state in his late twenties. Zimbabwe's president marked his 91st birthday celebrations with a terrifying speech in which he threatened to seize land and animal sanctuaries owned by white people. Thousands of loyal supporters attended the $1million party at the lavish resort town of Victoria falls near the world-famous waterfall. In the televised address, Robert Mugabe vowed to 'invade' the farms and animal sanctuaries still owned by whites - who he claims still own vast amounts of the country's land. When the country gained independence in 1980, white farmers who made up less than one per cent of the population owned around 70 per cent of the best farming land. But in April 2000, Mugabe and his ZANU-PF party pushed through controversial land reform which allowed the government to confiscate white-owned land and distribute it to black farmers without having to pay them compensation. Barely two weeks to its one year anniversary, the pace-setting government of Chief Willie Obiano has scored another first in the annals of good governance by ending a glorious one year in style as the state emerges tops in transparency rating. In a report released by the Federation Accounts Sub-Committee on International Public Sector Accounting System (IPSAS) implementation, Anambra state was ranked highest in the South East. The South East Zone also came first in the overall ranking among the states of the Federation. With an impressive score of 80 percent, the Fiscal merits of the Obiano administration’s commitment came to the fore. In the bid to strengthen online information dissemination services in Ananbra state, resident bloggers have been charged with the responsibility to ensure they are guided by the ethics of journalism. They have also been challenged to ensure that 'project Anambra' is portrayed in good light before the international communities, as a people who operate with less supervision but have wider readership when it comes to speedy information circulation mechanism. The secretary, Anambra state council of the Nigeria Union of Journalists, Comrade Ifeoma Anumba gave the charge at the maiden meeting of Anambra state resident bloggers in Awka, promised to ensure they are protected by the state council of NUJ, if their conduct falls within the tenet of best practice. 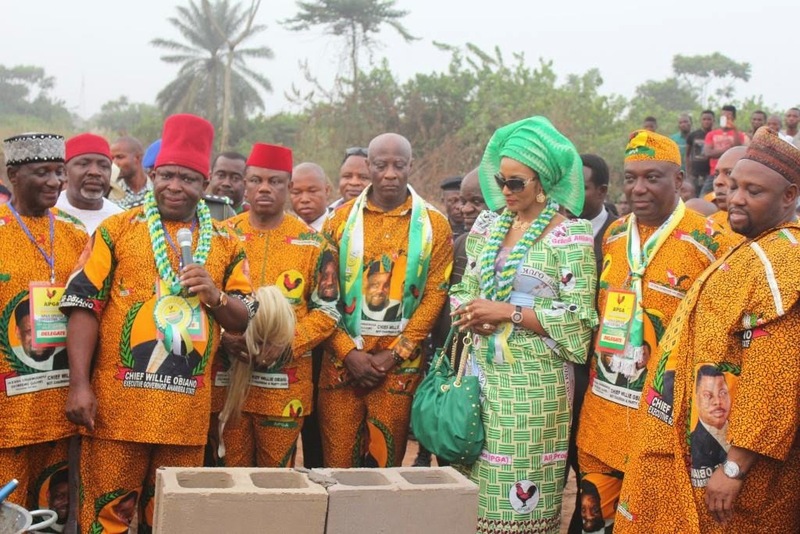 Anambra State governor, Chief Willie Obiano has reiterated his administration's resolve Saturday to improve employment among the youths and enhance skilled work-force that will support the service of the state in urgent area of needs in the labour market. Governor Obiano disclosed this spoke at an interactive session with the Catholic Women Organization (CWO), Onitsha Archdiocese held at Bethany House, Onitsha,stressed the reason behind the inauguration of the State Youth Skills and Empowerment Scheme is to make sure that there is ready labour for hire by the industries springing up in the state.